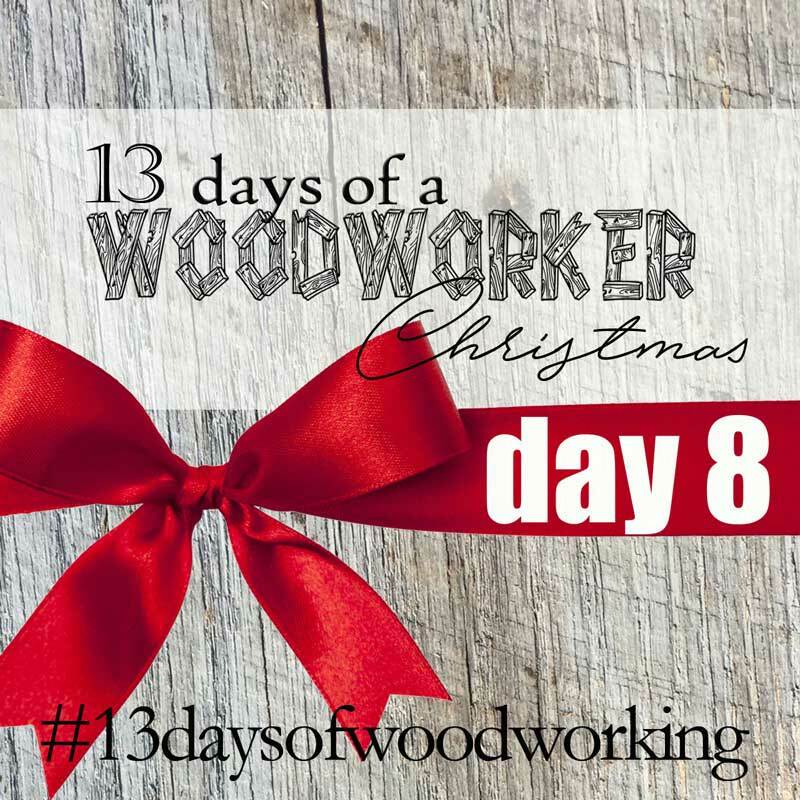 Welcome to Day 8 of the 13 Days of a Woodworker Christmas! 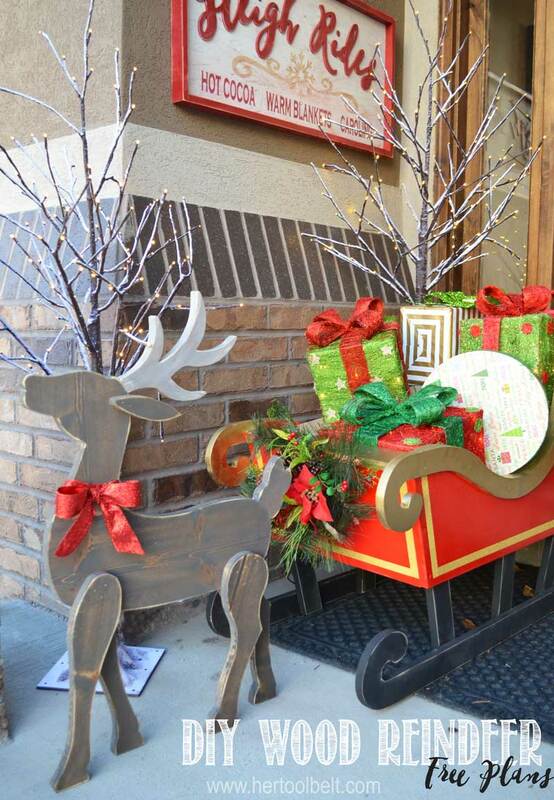 This year I built a fun DIY Wood Santa Sleigh for my front porch, but what is a sleigh without a reindeer to pull it??? I really like the shape of this wood deer (that is no longer available). 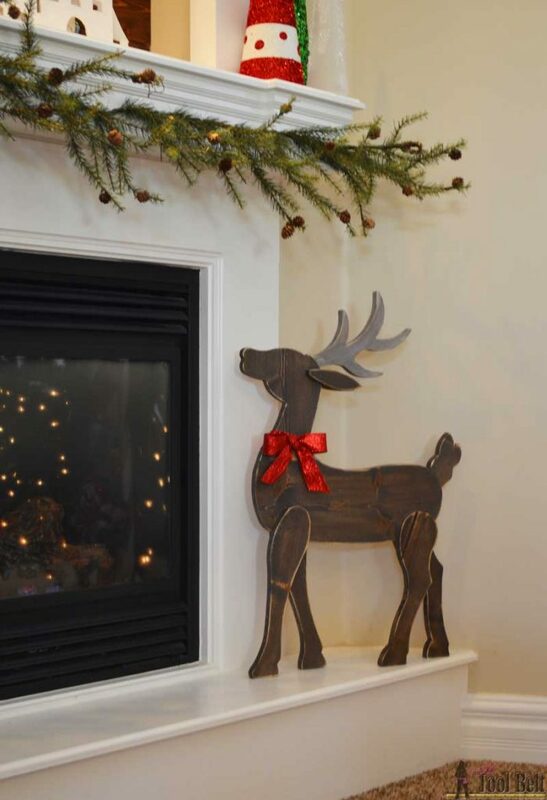 My DIY wood reindeer follows that same basic shape with some changes. 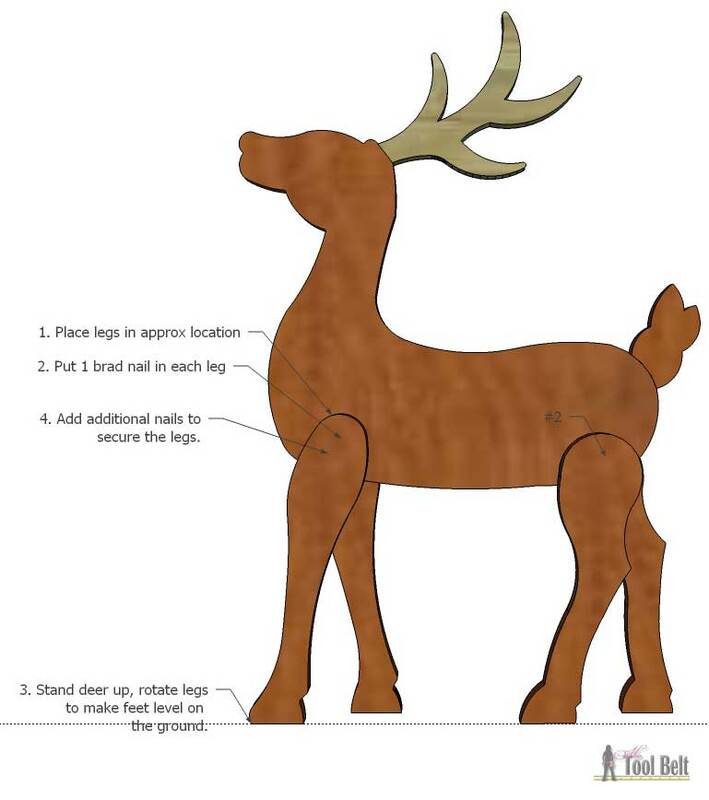 Download and print the DIY Wood Reindeer Pattern with reference. When printing make sure your printer settings are on 100%, not ‘fit to page’. Line up the patterns and tape together. Cut out the pattern pieces and trace them onto the 1″x8″ board (trace 2 ears). 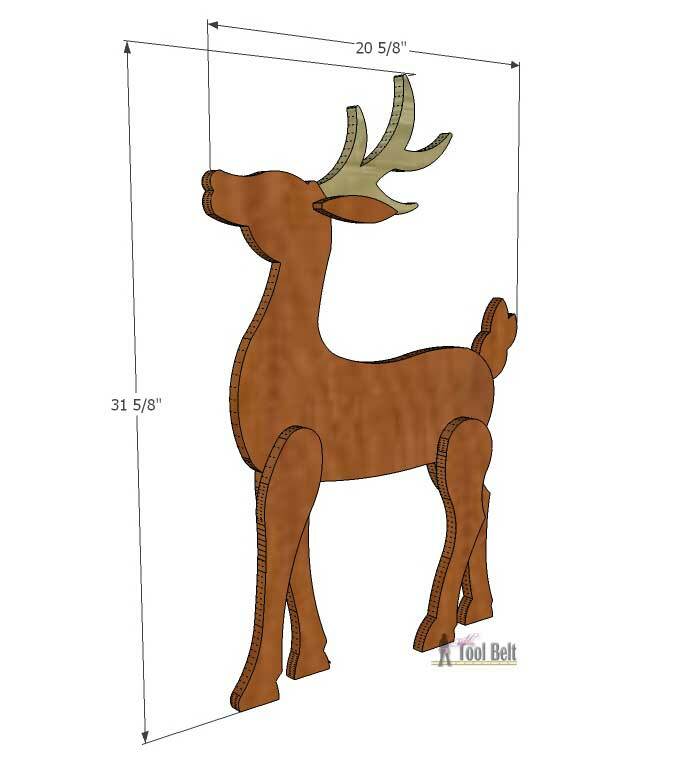 Use a band saw, scroll saw or jigsaw to cut out the reindeer pieces from the board. I used a band saw, but use whatever you’re most comfortable with. Sand the pieces as needed. To attach the head, antler and tail, I decided to use my pocket hole jig. (There are other ways, but this is quick and easy.) I drilled 2 holes for 3/4″ material in the head and tail pieces and 1 hole in the antler. I stained the reindeer pieces before assembling it together. The antler was stained with antique white and after the white soaked in, I lightly brushed it with my stain soaked rag from the deer body. The rest of the deer is stained with classic gray, followed by jacobean. I would say let it dry, but it was so cold in my garage that the stain is really just kind of frozen onto the wood 🙂 Hopefully it dries by the time the reindeer is put away after the holidays. After the stain ‘dried’ I roughed up the edges with sandpaper. 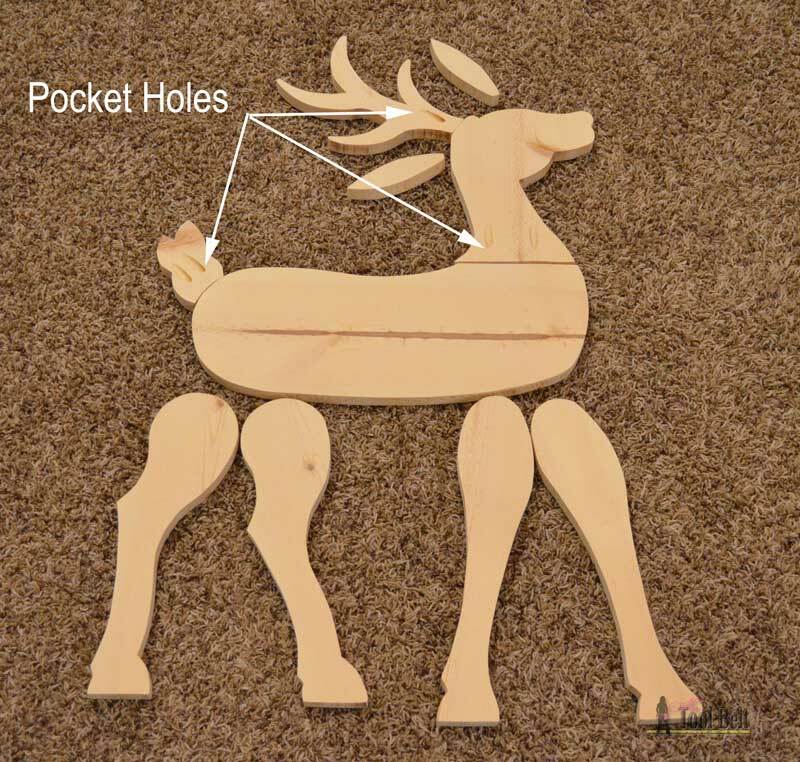 Attach the head, antler and tail to the body with wood glue and 1 1/4″ pocket hole screws. Now the trick to this reindeer is that you want to have all of the feet flat so it will stand nicely. To do this, I put the legs about where they should go and put 1 brad nail in each leg near the top. Stand the reindeer up and adjust the legs so each foot is level, then add a couple more nails to each leg. or cozy by the fire. Maybe I’ll have to make a second one for the fireplace. 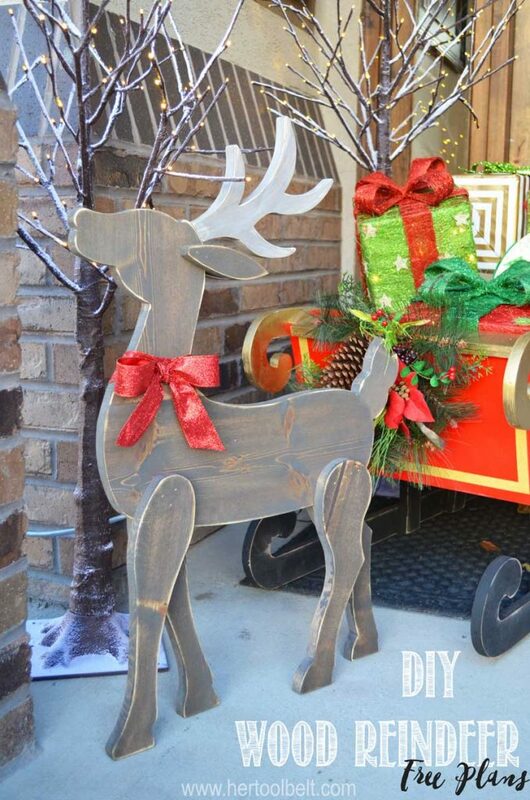 Her Tool Belt – DIY Wood Reindeer December 8th – You’re here! I adore this! And I think I might make one myself because I was needing a decoration about 20″ tall! Genius! Well done! Amy I need a whole herd!!!! That is the cutest project and so nice of you to make the pattern pieces free. Love this. Amy, I love this reindeer and must make him! Thanks for providing the pattern – I am pinning! Love the Reindeer and the stain you put on it. Love your reindeer. Is there any way you could draw the pattern out on paper with actual sizw?. I would pay you for it and shipping. Can’t get the pattern to print from my phone, any suggestions? This is so adorable. It will become a family heirloom. Saw this pinned by a friend . . . absolutely adorable!! Are there plans available for the sleigh?? Happy to pay for them if they’re for sale. Thx and hope you had a great Christmas!! Awesome, I’m glad they could be helpful. Where can I get the pattern for the reindeer? It’s after the materials list. 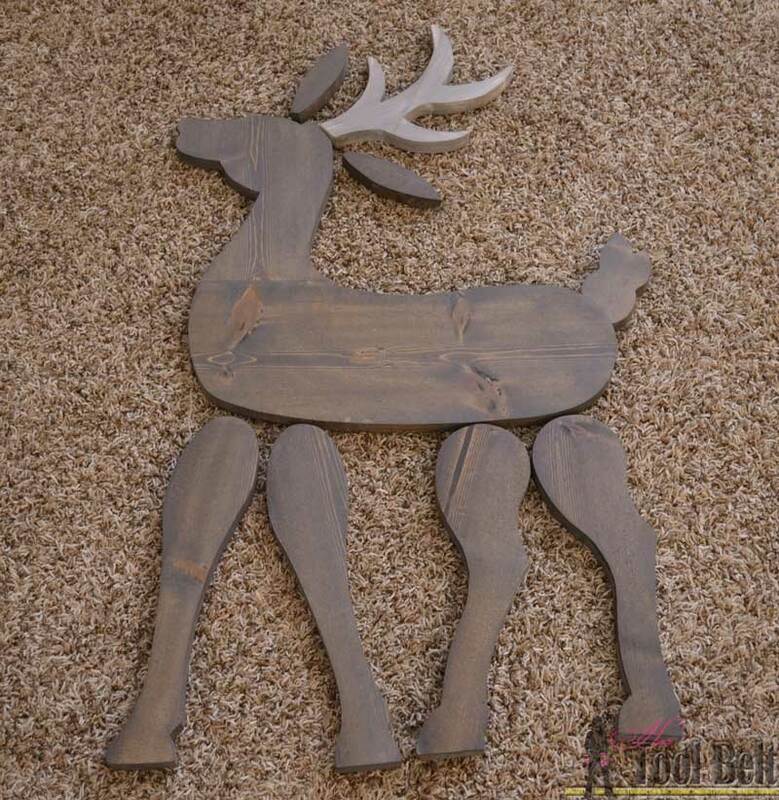 Download and print the “DIY Wood Reindeer Pattern with reference“. 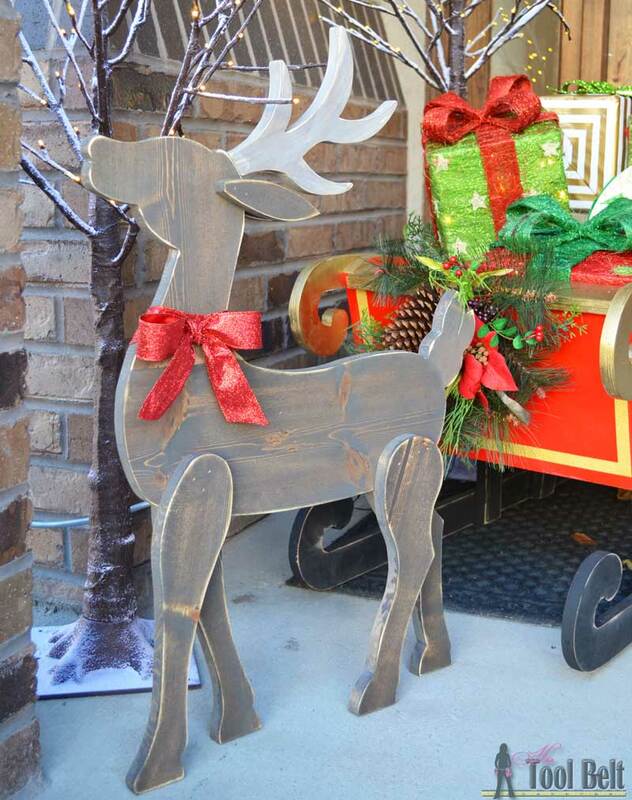 <---- DIY wood reindeer is a link to the pattern download. This link will not allow you to print the pattern from a phone. Anyone has any solutions? I really want this pattern! Do you think this could be made with old barn wood? Yes that would look cool. I made a couple but adjusted the pattern a bit. I also reduced it and made a smaller one, thanks!